Have knowledge in a certain area? These sites will pay you money to answer questions via text message, live chat or email depending on which site you sign up with. You should consider these sites as an extra source of income. You can make money online answering questions posted by users on various sites depending on which site you sign up with. After you register someone will ask a question and you will get paid for providing the answer, simple as that. Other sites let you answer user’s questions by taking calls from people, or through text messages using your phone. Some sites only hire experts from the U.S. and others hire from other countries around the world. A few of these sites require that you complete an online application or/and a profile and get approved by them while others just let you sign up by filling out a profile. What Qualifications Do You Need to Answer Questions? The most important qualification you need to have is your knowledge in a field or more to answer questions online or via phone. If you have also good research skills, then you can be able to research various topics on the internet to find answers to respective questions and earn more money. You will need a phone if you want to answer questions via phone as some sites let you answer user’s questions via phone. Some sites require that you have credentials for your area of expertise. You may need to verify your credentials which can vary by category. 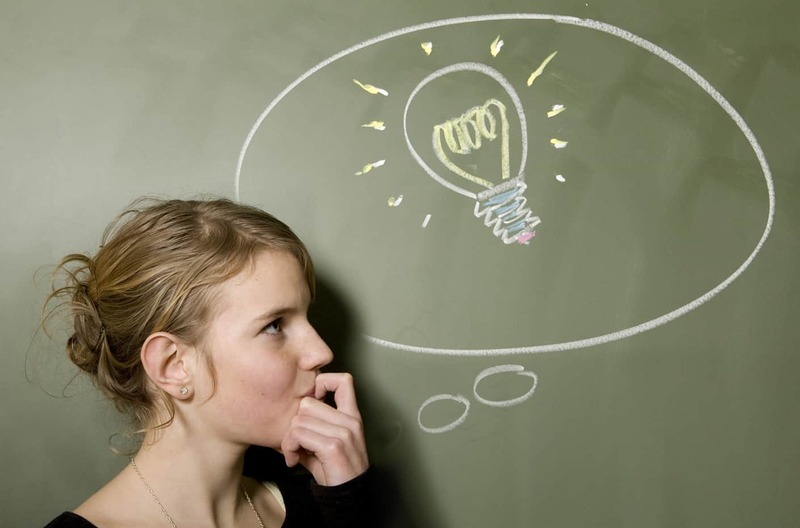 Are you knowledgeable about a particular topic or more and interested in getting paid for sharing your knowledge? Then there are sites that will pay you for your answers to user’s questions on these sites. 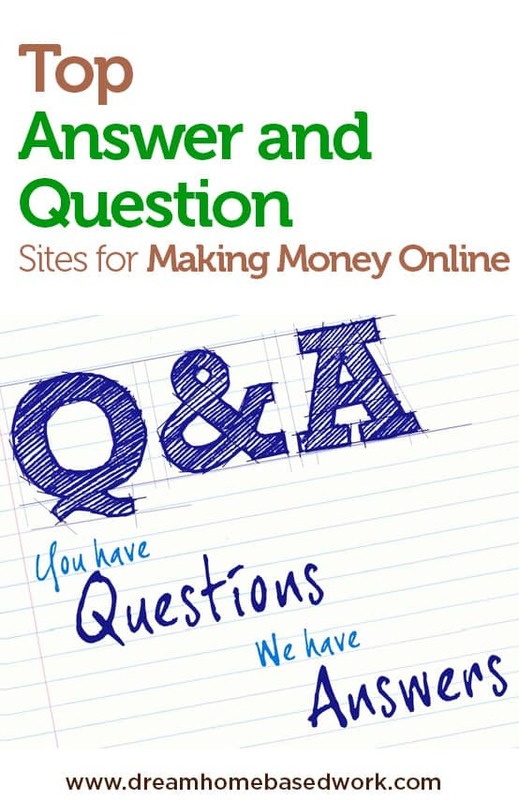 You can sign up with the following top answer and question sites for making money online by answering user’s questions. Web Answers is a question and answer website where you get paid to ask and answer questions. The site pays through AdSense revenue sharing model. You get paid based on how much traffic your answer receives. There is no application process to sign up. Once you sign up with the site, you can start answering questions right away. You must answer 50 questions before you become eligible to start earning through Google AdSense program. If your answer is chosen as the “Best Answer” by the questioner, you will earn royalties through advertising on that question and answer thread. WebAnswer also pays you to ask questions. You also earn from your ads that are displayed on other pages. This is a website that lets people post many different kinds of question including health, home improvement, tech support and others. You need to register on the site for free to be able to answer to users’ questions. If your answer is accepted, the site pays 25%-50% of what the person is willing to pay for the answer. Just Answer hires experts in many areas. If you fit in one of these lists of categories, then fill out an application. You will need to verify your credentials for your area of expertise before you can start earning money for answering questions in your field. You get paid via PayPal and the minimum payout threshold is $20. If you are an expert in any field, then you can make money by selling what you say to others via phone or through email on Ether. When you sign up as an expert on the site, you get your Ether phone number 1-888-My Ether (a 8-digit extension that is unique to you). Then set it to forward calls to your actual phone number such as your cell, home, and work number. It is free to get your Ether phone number, and takes 2 minutes to set it up. You set your rate per minute/hour/call. You can set the hours to take calls when you want to. Your phone only rings when people have prepaid your rate. Ether takes 15% commission off your earnings, and sends you your money via direct deposit or check. Createpool is an online marketplace for information that allows you to make money sharing your skills and knowledge online. Once you sign up, start browsing questions, provide answers and get paid. Createpool pays out using checks (in the US) and PayPal. So, become an expert if you want to get paid money for answering questions online via this site. You can make money as a freelance expert at PrestoExperts. Once you sign up as an expert for the category that fits you, you will be required to create your profile to list your qualifications, education, specialties and any other information you would like your potential clients to know. PrestoExperts allows you the flexibility to work on your own time and at your own pace. You set your own fees for freelance work you accept. If you provide good service, you will earn high ratings from clients. You can make cash answering questions as an expert via this website. This site pays you a portion of earnings earned from your answers through a revenue share plan. The more popular your answers the more you will get paid. You earn money via a revenue sharing model by answering users’ questions on this site. Payments are made via PayPal. You can become a guide on ChaCha and make some extra money in your free time by giving real-time answers online or via phone by using one of their mobile apps to people. This is a site where customers post thousands of questions each day and experts like you respond and get paid. You can choose one or more of 175+ categories after starting an application. How Much Money Can You Make Answering Questions Online? There is no limit to how much money you can make by answering questions online. You will not get rich by answering questions online but if you have expertise in an area or more and have some time to answer user’s questions, you can earn some extra cash every month doing it. How much money you can make depends on your expertise, how much time you put in, and which site or sites you have registered on. More and more people are signing up for answer and question sites for making money online because it is a fun and one of the easiest ways to earn extra cash. Morning Lashay…I’m a child of God also 🙂 I am desperately trying to find a work from home opportunity that doesn’t cost money to start. I am interested in freelance writing but don’t have experience. I also am looking into virtual assistant or anything that I can live comfortably doing. Do you have any suggestions of work that someone can do and make a good salary?